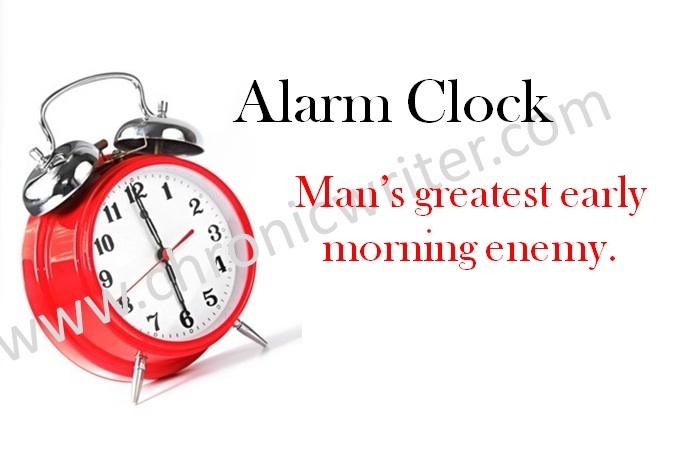 The alarm clock is man's first enemy everyday. It spoils our precious sleep. Thanks to the snooze button , we could reach over and press that button and get back to sleep for some more time. Most of us have mastered the art of locating the snooze button even without looking at the clock. We are all magicians when it comes to locating the snooze button. Some of us even have the ability to press that button for almost an hour. Every time we would locate the snooze button with ease. Every night before we go to sleep, we would keep the alarm as early as possible and say "Tomorrow I will get up early in the morning". But every day, most of us end up pressing the snooze button and in the process end up late at work. How can we come out of this problem? It is not easy, if we are so used to pressing the snooze button. During the morning, when the alarm goes on, I would feel like breaking the clock. The mind doesn't remember the decision made before hitting the bed. King Solomon was known for his wisdom. He was a poet too. He has written many proverbs. 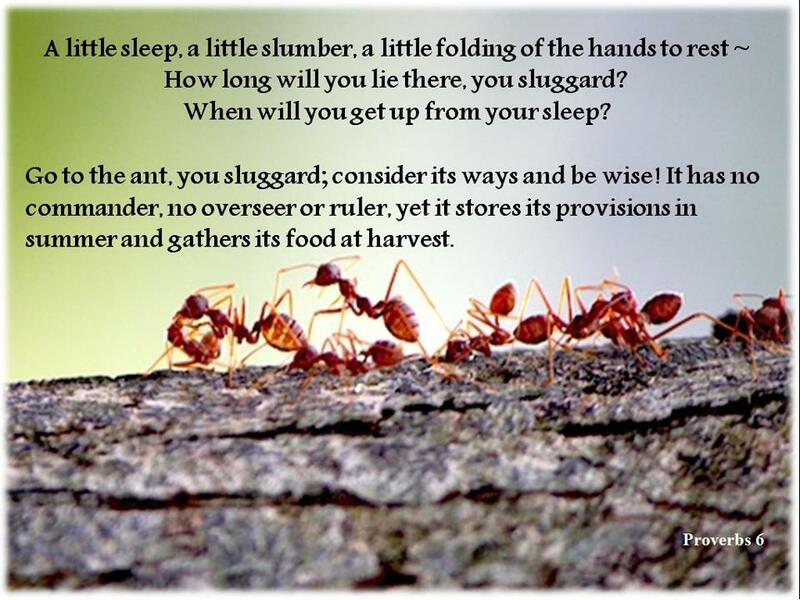 One such proverb tells us to learn from the ants. Check this picture to know what he tells us. When we see the ants, we will learn that they are highly disciplined. They never jump the queue. They are organised and they are hard workers. We have lots to learn from them. Traffic systems in some countries are designed following the example set by ants. The economic planning of some countries are also planned following the examples set by these small creatures. We have lot to learn from the smallest living creatures around us. The next time, you see a small creature, try to learn one behavior from them. This advice was understood in a very wrong manner by TR. He also tried to learn new things from animals. He once happened to see how a bear excretes in the wild. Immediately he also decided to imitate the same. The result is seen in the video below. If you are alive even after seeing this video, you have just witnessed a karadi kakkoos pora scene. When We The Snooze Time Completes Our Sleep. Don't Know But we feel satisfied after This 5 Min Sleep. Hmm.. We should keep ants in our bed then..! Really difficult to wake up in morning even we try to do.